Who are Commerce Monks and where are they located? Commerce Monks comprises of experienced, knowledgeable and efficient team of E-Commerce specialists with over 10 years of industry experience. Our group of monks are devoted to offer quick turnarounds and cost effective services. Commerce Monks operate out from the state of the art premises in India. We are well-equipped with the required infrastructure to offer everything we claim. How can you be so confident about your quality? 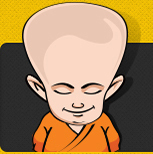 All our Monks are highly experienced and most of our team members are google certified. Could you please provide more details on 100% money back guarantee? If you do not think that we managed to provide you what you desire, we will return the entire amount that was charged to you. Please refer to our Privacy & NDA page for more details. Will you be ready to sign a Non-Disclosure Agreement? We understand and appreciate that your business would have some secrets. Therefore, none of your information would ever be shared; nor, would the work be put up as sample without your permission. You can email us your NDA, We will sign the same and send it back to you. Please refer to our Privacy & NDA page for more details. When and where can you be contacted? Our support team works 24/7 & our sales and project team is available from 6.00 AM to 6.00 PM GMT. We love to talk to you! You can either email us (hello@commercemonks.com), conduct live chat through our website, Skype (commercemonks) or call (UK: +44 20 3290 MONK), (US: +1 213 674 MONK), (Australia: +61 8 7200 MONK), (India: +91 851164 MONK). Would you require upfront payment? Yes, upfront payment would be required. Given the extremely short deadlines that we work with, an initial payment helps us get the project underway immediately. Payments can be made through PayPal. Moreover, all major credit and debit cards are also accepted. How do I get started with CommerceMonks for my E-Commerce services? Choose our A-la-carte services package or dedicate team model package, specify your project requirements, share us the required accounts and store details, make a payment and you are all set to receive the project delivered to you in a satisfactory way. For any assistance, feel free to get in touch with our project team at projects@commercemonks.com. How much time will you take to start off with my work? In most of the cases, we can start working on your project within 24 hours after your approval. However if you are looking to setup a dedicated team with Commerce Monks, it will need atleast 15 to 20 days of lead time. Which model to choose while selecting a package A-la-carte services or Dedicated team model? A-la-carte services model is ideal for clients who wish to use many E-Commerce services from our A-la-carte offerings whereas Dedicated Team Model is ideal if you need a dedicated & focused team that helps you expand your E-Commerce business. How do the complimentary packages work? Complimentary services are extended to a wide range of our services which we offer for absolutely free, mainly to try our services. All you need to do is check our our offerings, fill a form and send us your requirement. This will enable you to have a better idea about the quality of our work and at the same time allow us to understand the project better and give you a competitive quote. What is A-la-carte Service Model? A-la-carte services bring to you a wide range of services to choose from. You will have an extensive menu and can blend many of our services based on your needs. What are the technological competencies of Commerce Monks? Our technical team has strong competency with PHP, .Net & Web(HTML, CSS, Java Scripts) technology. How do I send my product information to you for product entry services? You can send product information in the form of spreadsheet, digital / physical catalog, etc. through e-mail to our official e-mail id – projects@commercemonks.com. We also have an FTP server, which can be used for transferring big files. Additionally, our E-Commerce Product Entry team is adept at product upload and management and can pull data/ information from the manufacturers’/ suppliers’ website or any other relevant source to tailor the solutions based on your unique needs. If I do not want to share my login details of my E-Commerce website, is there an alternate way to enter my products? In case you do not want to share your login details, we can still do offline data entry for your products in an Excel Spreadsheet which can be imported to your system. What if our work flow increases with a very short or without any prior notice? We can respond to fluctuating workloads on a short notice. We are capable of quickly ramping-up our team when needed. Moreover, we have skilled and experienced staff, capable of handling urgent jobs and delivering on time.